If you are looking to buy giant tomato seeds then you are in luck as the 'Seeds of Eaden' seed shop now has one of the largest growing tomatoes around as part of its standard range of stock. 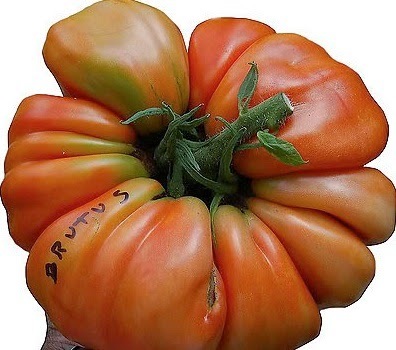 Tomato 'Brutus' is one of the biggest available, able to produce fruits 8 inches in diameter and an impressive 2.2lbs in weight. More experienced growers can achieve weights almost double that! 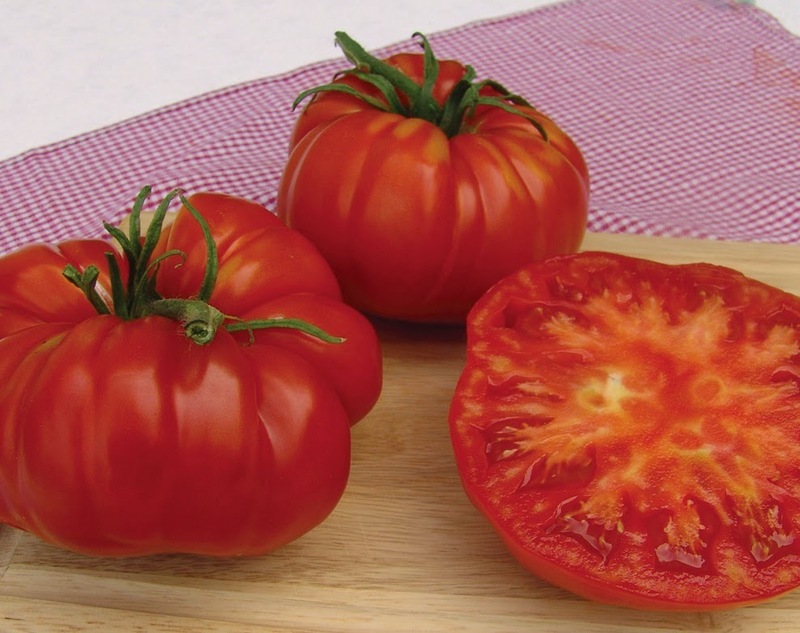 It is a juicy beefsteak cultivar which is not only ideal of attaining huge sizes but makes for an excellent eating tomato for use in sandwiches and salads. The delicious, rich red fruits are heavily ribbed and are suitable for growing both outdoors or as a greenhouse crop. In order to help Tomato 'Brutus' fruits reach their largest sizes, make sure that the trusses are trimmed to only 3 or 4 fruits per truss. When growing from seed, greenhouse plants should be sown early from February to March, while outdoor plants should be sown from March to April. As you would expect, plants grown under protection will have a better chance of reaching their maximum sizes. Using a modular seed tray, fill with a good quality compost such as John Innes 'Seed and Cutting' and gently compress and water in. Sow tomato 'Brutus' seeds on the surface and cover with a fine sprinkling of compost or vermiculite as the seeds require light to help initiate germination. Place seed tray inside a heated propagator at a temperature between 15-20 degrees Celsius. Alternatively seal inside a clear polythene bag and place on the windowsill of a warm bright room, but one that does not receive direct sunlight. The first seedlings should begin to emerge around 7-14 days, at which point they can be removed from the propagator or polythene bag.